Investing.com – Gold prices edged higher, buoyed by expectations the Federal Reserve will send markets a more dovish message about future monetary policy after the two-day policy meeting that starts later on Tuesday. The Federal Reserve’s Federal Open Market Committee (FOMC) begins its two-day policy meeting later Tuesday, with a decision on interest rates due Wednesday afternoon. The U.S. central bank will also release new forecasts for economic growth and interest rates, known as the “dot-plot”, which many analysts say will probably point to at most one more interest rate hike this year. The Fed has already signaled that it’s extremely unlikely to raise rates again in the near term, after four hikes in 2018. The dollar index, which measures the greenback against a basket of six major currencies, was a shade lower at 95.85, hovering close to a two-week low. In other metals trading, palladium prices hit their highest levels on record following news that Russia is planning to ban exports of precious metals scrap. “There have been rumors that Russia would restrict exports of some scrap materials. When the market is as tight as palladium is, sometimes such news can take on more significance than it should,” said Philip Newman, a director at Metals Focus. Russia is a major producer of palladium, which is used mainly in catalytic converters for cars with gasoline engines. Demand for palladium has increased as diesel engines have lost market share in response to public concerns about air quality. An old adage is that coin collecting is “The Hobby of Kings,” since only kings could afford or have the power to seize the top quality rare coins made of precious metals. Today, that slogan has changed to become “The Collector is King,” with the serious collector of rare coins driving up prices. In more recent times, celebrities such as Wayne Gretzky, Buddy Ebsen (1908-2003), Penny Marshall and Jerry Buss (1933-2013) have collected rare coins, but collectors such as the American financier Louis Eliasberg (1896-1976) have set the standard for a lifetime devoted to serious collecting of the best-known specimens of U.S. coins. With the rapid growth of global wealth since the end of the Cold War, the annual Forbes census of global billionaires has grown from 140 in 1987 to 2,208 in March 2018. Out of 2,208 billionaires, it stands to reason that at least 1% of them would become fascinated by “The Hobby of Kings.” And so I bring it to your attention that four billionaires, including real estate guru Dell Loy Hansen, are currently competing for high-quality rare coins in the coin market. Hansen earlier this year bought the “Hall of Fame Collection,” the famed Liberty Seated dollar set that had been carefully put together by Bruce Morelan, who himself was the subject of much fanfare when he purchased the phenomenal 1794 Specimen Flowing Hair Dollar at auction for over $10 million ($10,106,875 to be exact). It included coins previously residing in famous collections, including those of Amon Carter and the Garrett family. 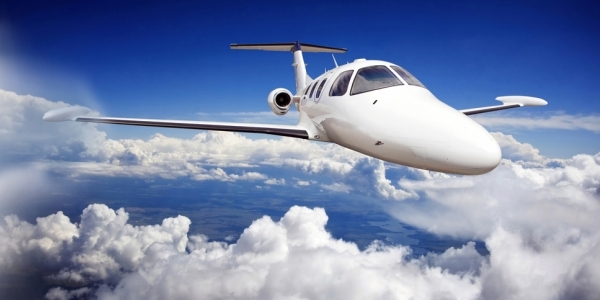 These ultra-high-net-worth business owners didn’t get to where they are by being passive. They are well-informed, highly competitive, goal-oriented collector-investors. At least two of them are trying to do what Eliasberg did and build complete sets of every coin from the U.S. Mint in as high a grade as possible. This competition for high-end coins will fuel a resurgence in demand for all coins that trade from about $25,000 and up. Besides these few billionaires bidding for best of breed coins, other prominent collectors are building registry sets with either PCGS or NGC coins for “top of pop”– the highest graded coins according to the lists generated by PCGS and NGC of coins they certified. 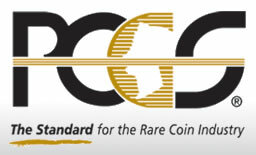 Many of these collectors want their coins to be verified by the Certified Acceptance Corporation (CAC) as well. CAC is a verification service that affixes green holographic stickers on the grading service holders of PCGS- and NGC-certified coins that meet its standard for “solid for the grade.” Certified coins that “exceed” CAC’s standard receive a gold CAC holographic sticker. The service was founded by John Albanese, who is its chief verifier. Albanese founded NGC and was one of the original PCGS partners. We have already seen examples of how mid-range rarities have been actively bid up by multiples of their expected price at auction. Recent auctions have seen coins such as a Booker T. Washington (BTW) commemorative half dollar in MS-67+ bring substantially more than what experts expected the coin to realize, due to there being only a few existing in that grade and none finer. One example was a CAC 1951-S BTW half dollar graded by PCGS as MS-67+. The coin was listed at $2,600 in PCGS’s price guide, but it brought nearly five times as much, $12,500, in a Great Collections Auction in which 48 bidders participated. It had a graded population of only three, with none finer. Also bringing higher-than-expected auction prices are beautifully toned commemoratives and Morgan dollars. But be careful. One collector’s beautiful toning is another collector’s “nice, but not worth the premium” coin. There is a more subjective element to value with toned coins. Gold is up 1.5% through May 4, while the Dow stocks are down 1.85%. So gold is still beating stocks in 2018, and many stock market investors are getting nervous, as the historically “best” month of April was flat, and the historically worst six months for stocks (May to October) are just beginning. With the stock market flat and in danger of falling below its key 200-day moving average, and with interest rates rising (and bond prices falling), and currencies in flux, international billionaires are looking to the time-tested value of gold for wealth preservation. Last week, Naguib Sawiris, the second richest man in Egypt (second only to his brother), the chairman of Orascom Telecom Media and Technology Holding S.A.E, told Bloomberg that he sees gold heading for $1,800 per ounce, while the “overvalued” stock market will likely collapse. Sawiris said he is putting half of his $5.7 billion net worth into gold. I am often asked for ideas about which US gold coins to collect, especially ones that are a little bit “out of the box.” I recently had a conversation with a long-time collector about new directions for his set and we discussed the possibility of starting a transitional set of 19th century American gold coins. By transitional gold coins, I am referring to a coin that was struck as two different types during the same year. An example of this would be an 1854 gold dollar from Philadelphia which was produced as both as Type One and Type Two issue. Let’s take a look at some of the transitional coins that are available to collectors who are considering this approach. A pair of gold coins which is not a transition would be an 1861-S and 1861-S Paquet Reverse double eagle. This is the case because the 1861-S Paquet reverse was not used in any other year. An 1866-S No Motto reverse and an 1866-S With Motto are a transitional pair because the newer reverse was used in the following year(s). The Liberty Head gold dollar was produced from 1849 through 1889. There were a total of three types and there are a few interesting possibilities for the transitional gold coins collector. In 1854, the Philadelphia, Dahlonega and San Francisco mint produced gold dollars with the Type One design. During the same year, a Type Two gold dollar was made at the Philadelphia mint as well. Both the 1854 Type One and Type Two gold dollars are common, although the latter becomes scarce and expensive in the higher Uncirculated grades. A transitional pairing of the 1854-P Type One and Type Two dollars could easily be assembled in MS63 to MS64 grades. In 1856, there was a Type Two gold dollar made at the San Francisco mint and well as Type Three issue at Philadelphia and Dahlonega. These are not transitional gold coins issues, in the strictest sense of the word, as they were made during the same year but at different mints. Production of this denomination began in 1796 and continued all the way until 1929. During this period, there were a number of transitional issues. The first transitional pair of quarter eagles occurs in 1796 when both the No Stars and the With Stars issues were made. A total of 963 examples of the No Stars were struck and just 432 of the With Stars. While the more common of the two, the No Stars is better known and considered more desirable by many collectors. The 1796 With Stars is a very rare coin in all grades and is generally seen in lower grades than its No Stars counterpart. This transitional pair will be the most expensive part of such a set with nice AU-Uncirculated examples costing at least $250,000-300,000 and possibly more. While the 1796 transitional gold coins set will be the most expensive quarter eagles in this set, the rarest coin will be the 1834 With Motto, which is the final year of issue for the Capped Head Left (reduced size) type struck from 1829 to 1834. There were 4,000 of these struck but nearly all were melted and today an estimated 20 or so exist. Later in the year, the better-known Classic Head design was introduced and the first-year-of-issue 1834 is common in grades up to MS63 and sometimes obtainable in MS64. A transitional pair of 1834 quarter eagles could, in theory, be obtained for less than $100,000 but the earlier issue from this year might take years of waiting to locate. No other transitional pairs exist for the quarter eagle denomination. No transitional pairs exist for the three dollar gold piece. The half eagle denomination began in 1795 and ended in 1929. It is fertile ground for the transitional gold coins collector with a number of interesting pairs extent, especially during the first few years of production. The 1795 half eagle exists with both the Small Eagle reverse (employed on this denomination from 1795 through 1798) and the Heraldic Eagle reverse (used from 1795 until 1807). The 1795 Small Eagle is a reasonably common coin by the standards of early half eagles and it is, as one might expect, extremely popular. The 1795 Heraldic Eagle is considerably scarcer, especially in higher grades, although it is more obtainable. A nice transitional pair of 1795 half eagles will run $100,000 or so but, in my opinion, it is one of the most visually arresting contrasts in all of American coinage. Another transitional pair exists in 1797. Two different 1797 Small Eagle half eagles are known; the 15 star obverse and the 16 star obverse. Both are very rare although the former is more difficult to find and is not often offered for sale. There is a 1797/5 Heraldic Eagle known which is also very rare although it is at least obtainable; two other 1797 Heraldic eagle varieties (the 15 star and the 16 star non-overdate) which are unique and located in the Smithsonian. A transitional set of 1797 half eagles would be expensive ($200,000+) and hard to assemble but it would make an exceptional item and would be a highlight of this set. In theory, a 1798 transitional set could be assembled as well but the Small Eagle is exceedingly rare with just eight known; the last example to sell at auction (a PCGS EF40) brought $264,500 back in 2000. The Heraldic Eagle variety from this year is reasonably common. It is possible that this set could be assembled but it would take deep pockets and considerable good fortune to even have a shot as obtaining a 1798 Small Eagle in today’s rarity-conscious market. The next transitional set in the half eagle denomination is the 1807 Bust Right and 1807 Bust Left. Both issues are reasonably common and a set could be put together, if so desired, in grades as high as MS64 to MS65. For $20,000-30,000, a more reasonably price alternative would include two nice AU coins. A very interesting and very rare transitional pair occurs in 1829 with the Large Date (Large Diameter) and Small Date (Small Diameter). Both of these issues are very rare and generally trade once every few years. We’re talking in excess of $1 million dollars for this pair and even having the money is no assurance that a set could be assembled. A really interesting pair of transitional pairs exists for the 1834 half eagles. The Capped Head Left reduced diameter type began in 1829 and continued until 1834. During this year, both Plain 4 and Crosslet 4 varieties. Both are quite rare with the latter being harder to find. Later in the year, the new Classic Head variety was introduced and, again, both Plain 4 and Crosslet 4 coins are known with the latter being considerably rarer. It would be difficult but not impossible to put together this “pair of pairs” with the two Capped Head coins in AU-MS grades, the Plain 4 Classic Head in a grade as high as MS64 and the Crosslet 4 Classic Head in the lower MS grades. The next group of transitional pair half eagles occur in 1842 and 1843. 1842 Philadelphia half eagles are known with Small Letters and Large Letters reverse varieties. The former is the type of 1839-1842 while the latter began in 1842 and continued all the way through 1866. Both are scarce and undervalued with the Large letters being the rarer of the two. A pair could be assembled in nice AU grades for $10,000-15,000. The same transitional pair exists for 1842-C half eagles. The 1842-C Small Date is very rare in all grades while the Large Date is more available. An EF-AU pair would cost $20,000-25,000 to assemble. With the 1842-D half eagles, the exact opposite rarity pattern is seen. The Small Date is the more obtainable (although it is very rare in Uncirculated) while the Large Date is rare and almost impossible to find above AU55. A nice AU pair could be assembled for $25,000-35,000. This transition occurred for New Orleans half eagles in 1843-O. The Small Letters is slightly scarcer than the Large Letters but both are reasonably easy to find in EF and AU grades. A pair in AU could be purchased for less than $10,000. The next transitional pair for half eagles occurs in 1866 when the San Francisco mint made 9,000 No Motto coins and 34,920 With Motto coins. The former is extremely scarce while the latter is scarce but a bit more obtainable. The 1866-S No Motto is seldom found above AU50 while the With Motto is seldom found above AU53 to AU55. A pair of AU examples would cost around $20,000. The final transitional pair for half eagles occurs in 1908 when both the Liberty Head and Indian Head types were struck. The 1908 Liberty Head was made only at the Philadelphia mint and it is common in grades up to MS64. The Indian Head type was made in 1908 at Philadelphia, Denver and San Francisco. It’s possible to assemble a 1908-P half eagle set in MS65 for less than $20,000. The first transitional pair for the ten dollar eagle denomination occurs in 1797. The first coin struck this year was the Small eagle reverse of which only 3,615 were made. This is a rare coin in all grades and a very rare one in AU55 and above. Later this year, the large Eagle reverse was adapted and 10,940 were made. This issue is much easier to locate and it is sometimes seen in MS62 or even MS63 grades. An AU set would cost at least 175,000-200,000 but it would be easier to assemble than the similarly dated half eagles (see above). A less obvious but still important transitional pair occurs in 1839 with the Large Letters and Small Letters reverses. The former, which is the more common, employs the same size lettering as seen on the 1838. The latter, which is far rarer, uses the same size lettering as seen on the 1840 (and onwards). It is possible to assemble this set in AU for $25,000 or so but finding a nice 1839 Small Letters reverse will prove challenging. In 1866, the San Francisco mint struck No Motto and With Motto eagles. The No Motto coins had a mintage of 8,500 and are very scarce in all grades. The With Motto coins are more available but only 11,500 were struck. Both issues are extremely hard to find above AU50. A nice EF-AU pair would cost $25,000-35,000. A potential transitional gold coin collector will have much to keep him busy with 1907 and 1908 eagles. In 1907, three mints (Philadelphia, Denver and San Francisco) made Liberty Head eagles. Later that year, the new Indian Head design by Augustus St. Gaudens was introduced. There are actually three distinct types of 1907 Indian Head eagle: the Wire Edge, the Rolled Edge and the No Motto. The latter is by far the most common although it is probably the least numismatically interesting. Most transitional collectors purchase a 1907-P Liberty Head in MS63 to MS65 grades and a 1907 No Motto in MS63 to MS64. Adding the Wire Edge is a nice touch but it should be noted that a nice Uncirculated example runs around $50,000. And, in the parameters we discussed earlier in this article, these are not a true transitional pair as the Wire Edge design was not fully adapted in 1908. The final transitional pair for this denomination occurs, as a “pair of pairs”, in 1908. Both the Philadelphia and Denver mints struck No Motto eagles followed by With Motto issues. None of these are rare in grades below MS65 and a nice MS64 set is an accomplishment which is readily attainable. The best known transitional Liberty Head double eagle pair is the 1866-S No Motto and With Motto issues. Only 12,000 or so of the former were produced and it is a rare issue whose price has soared in the last decade. The 1866-S With Motto is much more available although it can be challenging to locate in any Uncirculated grade. An About Uncirculated pair will run at least $50,000 and possibly more if the collector is fussy about quality for the No Motto. In 1907, there was a radical change in the design of the double eagle and, as with the eagle from this year, there are pieces which use the old Liberty Head design (from Philadelphia, Denver and San Francisco) and the new St. Gaudens design. There are two important varieties of St. Gaudens double eagle from 1907: the High Relief which uses Roman numerals for the date and the Arabic numerals. These were all struck at the Philadelphia. An ideal transitional set, in my opinion, would include a 1907-P Liberty Head double eagle and a 1907 Arabic numerals. A slightly more advanced set could include a High Relief as well. The two coin set is easy to assemble in MS64 for around $5,000. A second transitional set occurs in 1908 when the motto IN GOD WE TRUST was added to the reverse of the double eagle. The 1908-P and 1908-D issues exist with a No Motto reverse; the same two dates were made with the With Motto reverse, as well as a 1908-S.
There’s a mysterious spot about 20 miles off South Carolina where centuries-old gold coins have been found strewn across the ocean floor for decades. It’s believed to be the final resting place of the SS North Carolina, a steamship that historians say sank in 1840 under bizarre circumstances. In November — 178 years after the ship went down — an expedition is being launched to “reconfirm with absolute proof” the wreck’s identity and unravel the mystery of why the North Carolina seemingly sank itself by heading straight into the path of another ship. But make no mistake: It’s the stories of gold coins the are driving the expedition. Project partners Blue Water Ventures International and Endurance Exploration Group are convinced hundreds of highly prized gold and silver coins are still on the wreck, promising a big pay off. The SS North Carolina sank so quickly that few of its affluent passengers could gather their belongings before boarding a rescue ship, say the organizers. Among the passengers was a businessman who reportedly lost $20,000 in gold pieces, says Blue Water Ventures International. Artifacts could start coming up in the next few weeks, as divers map the site and do an archaeological survey, Webb said. However, the bulk of the discoveries will likely be in May or June, the traditional diving season, he said. The site, known among scuba divers as “The Copper Pot Wreck,” sits just over 50 feet down, about 20 miles of Murrells Inlet, Webb said. For the past year, Blue Water Ventures and Endurance Exploration have been recovering artifacts from another Carolinas shipwreck, The Pulaski, which sank in 1838. Five hundred gold and silver coins have been found on the Pulaski, including some of the “oldest and rarest United States gold coins ever found on a shipwreck,” says Webb. Divers have been plucking artifacts off the North Carolina for years, leading to widespread tales of buried treasure. In 1996, items found included 18 U.S. gold Quarter Eagles, half dollar denomination coins and two ornate gold pocket watches, reported Blue Water Ventures. The SS North Carolina was sailing from Wilmington to Charleston when it collided with the Steamship Governor Dudley in July of 1840, according to the North Carolina Shipwrecks Blog. The passengers were rescued by the Dudley, but all “possessions and the cargo on board were lost,” according to a 1997 report by MAREX International. The 56 passengers included “about a dozen senators and congressmen,” WPDE reported in 2012. Another mystery waiting to be solved, says Webb, is what became of the large cargo of government mail that went down with the ship. Some of the packages may have held valuables, he says. 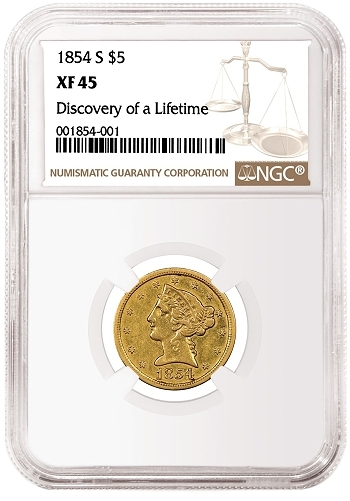 Described as “the discovery of a lifetime,” Numismatic Guaranty Corporation authenticated and graded as NGC XF 45 the fourth-known 1854-S Half Eagle. Recent headlines suggest there are a significant number of truly rare collectible coins beginning to enter the market. These coins have not been available for years. While the value of many of these attractive and historically choice coins is likely beyond the means of most readers, it is interesting to take note of their sudden availability. Their arrival on the market is important, since one of the reasons fresh material has not been plentiful has been the uncertainties of the collecting market. Owners would rather not face uncertainty. They wait until they are fairly sure they will get the total value out of their heirloom pieces. While the jury will be out for some time regarding whether these special coins will realize the prices their owners might desire, it does suggest the owners of coins that are held in strong hands may believe the market is finally ready to absorb them at strong prices. That is good news for everybody. Confidence in the marketplace is necessary to build a rising trend line. It is important to note as well that these coins are appearing in high-profile auctions and not over the counter. This reinforces the impression that auctions are the best means of selling any numismatic item. One question yet to be answered is whether buyers will be dealers looking for inventory or top-shelf coin collectors. Let’s watch as this drama unfolds. The balance of the scarce to rare market segment is currently flat lined, while any coin whose primary value is based on its precious metal content has once again declined, although modestly, as gold and silver failed to rally despite recent stock and bond market uncertainty. Nearly everyone who is deeply involved with numismatics can attest to the fact that the rare coin market has been soft or depressed in the last few years. Coin prices for many series have drifted downward, some to historic lows. There are a lot of coins that can be purchased for prices last seen in the 1980s. I have highlighted a few of these series in recent months, and plan to discuss several more in the coming weeks and months. Despite the lower prices for many series and issues, the prices for extreme rarities and grades have been solid, if not higher. 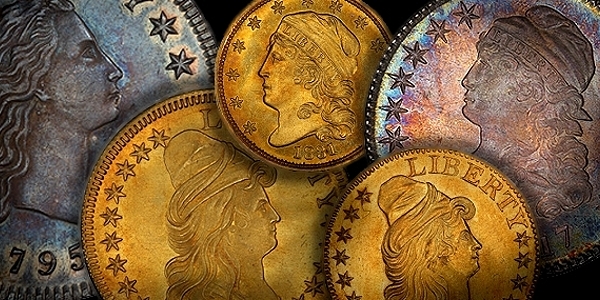 In the last five years, a lot of great coins brought record prices at auction. The demand for mega coins far outstripped the limited supply. A few big payers have had a tremendous impact, competing with each other to build registry sets of the finest known coins. Other collectible fields have seen similar demand for the top end of the market. The extreme wealth of some Americans has greatly benefited everything from fine art to vintage automobiles. These mega coins have very little impact on the average collector or dealer. I would love to sell million-dollar coins, but they seldom are offered privately, and usually sell at auction. Coins in this price range are only fantasies for most collectors. They can be fun to read about, but owning them would be impossible for all but a handful of well-heeled collectors. I have been following rare coin trends for decades, starting in the mid-1970s. Until recent years, the rare coin market has been much more volatile. In January of 1980, a Gem Proof Three Cent Nickel sold for about $2,500 USD. A few months later, they had crashed to under $500. This up-and-down cycle for rare coins played out many times over the next 30 years. The lowest point in the rare coin market that I have personally experienced was in the summer of 1982. Nearly every major rare coin dealer was broke or nearly so. By 1989, the market had roared back. Starting around the year 2000, the prices and the market for rare coins seemed to stabilize a great deal. I believe the invention of the internet had much to do with this. The market for rare coins was spread out significantly due to access, and the supply of rare coins didn’t overwhelm demand, as it had in the past. The access to numismatic information also greatly helped the hobby. Today’s collectors have far more tools than collectors of the past to make purchase decisions. The current market malady started several years ago after the financial crisis. Simply put, the supply of rare coins outpaced the demand. A lot of great collections entered the market, with mega sales of the Newman and Gardner collections being just a couple of examples. The stock market also performed amazingly well during this time period and a lot of money was allocated to that asset instead of to numismatics. Coin show activity: I attend almost every mid-size and major coin show in the country. I have been doing this for decades, and this has given me great insight on the pulse of the market. Nearly every coin show I have attended in recent months has been much busier. There is an actual buzz on the bourse floor that anyone who frequents the coin show circuit would recognize. Sales are much stronger across the board for everything, with the exception of unattractive material. Rare coins are harder to find: There are considerably fewer exciting coins to be found on the bourse floors than in previous months. Everyone is complaining about the lack of fresh material. Demand has increased: Nearly every large retail company in the country is scrambling to find coins for their operations. All of these web retail sites and telemarketing operations are having a hard time acquiring coins for the increased sales. Collectors have become more active: The stock market slide in recent months may have convinced a lot of people that it’s a good idea to diversify. There is clearly a lot of fresh money coming into the market. Auction prices have been strong: Recent auctions have been very strong for attractive collector’s coins. A few specialty sales, such as the recent Heritage auction of $10 Dollar Liberties, have seen astounding prices. Generic gold coins have finally hit rock bottom: Prices could not have gone down much more, with lower-grade $20 Double Eagle gold coins finally ending up in the melting pot. In recent weeks, there has been a smattering of increased premiums and attention to this decimated part of the market. ANA membership has increased: While President of the ANA from 2016-2017, I tried everything in my power to increase membership. Sadly, it would not budge. I took stabilization as a victory. In the last several months, membership has increased about 5%! Young people have discovered the hobby: Contrary to what you may read from some pessimists, there are actually a lot of young people who love rare coins. Many very talented young folks have chosen numismatics as a career in the last few years. A lot of them love the combination of numismatics and modern technology. You old guys reading this had better watch out! Modern mint product sales have fallen: The US Mint sales of its bullion and commemorative programs have fallen for the last few years. A lot of the attention given to this part of the market by large rare coin companies is now being diverted to vintage numismatics. Numismatics has discovered social media: Several months ago, I wrote an article about the Facebook group Coin Dealers Helping Coin Dealers. The group has continued to grow and is now the largest dealer network in the United States with about 800 members. A lot of business is being conducted by the group every day. It turns out that mobile devices and social media could be a major driving force in the hobby in coming years. The future is never guaranteed for any hobby or business, but from my observations, numismatics is poised for greatness in the next few years! In 1829 German born Christopher Bechtler, Sr., arrived in New York City with his son August and his nephew, Christopher. A year later they bought a tract of land in Rutherford County establishing themselves in the local community as jewelers and watchmakers. In 1831 the miners’ plight brought enough business to the Bechtler’s that it resulted in a private mint and assay office. The Bechtler mint cast dies for $1.00, $2.50 and $5.00 pieces. The coins were noted for being 20 carats fine, or 2 carats below the US standard. Bechtler coinage of 1831 bore the words “South Carolina” and “gold”. Coins appearing later than 1834 bore the words “North Carolina Gold”, “Carolina Gold”, and “Georgia Gold”. Bechtler soon had a reputation as a “man of competent science and skill to assay and bring the gold of the mines to a standard value, in the form of coin…he is a man of the strictest honesty and singleness of purpose.” His popularity and reputation allowed for almost ten years of coinage. Bechtler gold coins were minted eighteen years before the first striking at Philadelphia in 1849 and were so well accepted for commerce that they became a standard for currency. During the Civil War the monetary obligations of the Confederacy were specified as payable in “Bechtler gold” rather than Union, Confederate, or State currency. 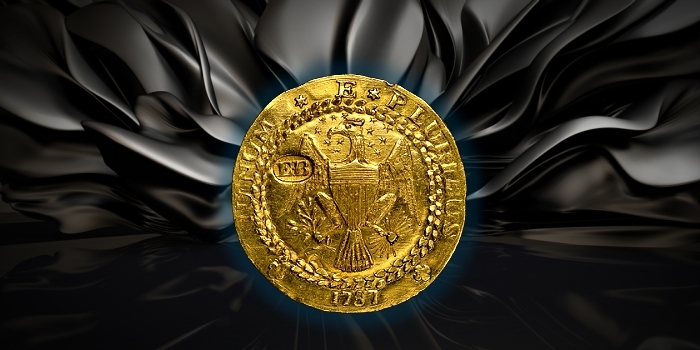 Today, Bechtler coins are rare and command high prices, especially those minted prior to the Coinage Act of 1834 which increased the value of gold by more than six percent which resulting in a massive melting of gold coins, Bechtler’s included. CORNISH, NH — A complete set of historic U.S. Double Eagle $20 gold coins designed by famed sculptor and Cornish resident Augustus Saint-Gaudens minted between 1907 and 1932 are currently up for auction online and expected to fetch “north of $7 million,” said coin dealer Barry Stuppler. Stuppler’s California-based firm Mint State Gold by Stuppler and Co. is representing the collection owner in the auction that began Thursday on e-Bay, he said Tuesday. The collection owner spent 15 years bringing the collection together so that each coin in the collection is of the highest quality in terms of its condition. In all his years in numismatics — the study or collection of currency — “I’ve never seen a set like this come on the market,” Stuppler said. “A number of these people are numismatists, many of them are not. Many of them are just looking for an interesting collection with investment potential,” Stuppler said. One of the reasons these coins are so rare is that President Franklin Delano Roosevelt ended the production of all gold coins in the United States because of the Great Depression, ordering the collection of the coins by the banks so they could be melted down. “That’s how we got Fort Knox,” Stuppler said. Before that, $5, $10 and $20 gold coins were used interchangeably with paper currency, Stuppler said. One of America’s foremost sculptors, Saint-Gaudens was living and working in Cornish when he designed the coin in 1907, the last year of his life, said Henry Duffy, curator of the Saint-Gaudens National Historic Site in Cornish. Now a museum and National Park, the former home, gardens and studios of Saint-Gaudens is home to more than 100 pieces of art made by the sculptor as well as a complete set of the Double Eagle coins, Duffy said. Stuppler said people interested in learning more about the set and how to make a bid can find out online at http://www.saintsets.com. Consumer prices rose more than expected in January, sending Treasury yields higher and stock futures lower on Wednesday morning. In January, consumer prices rose 0.5% over the prior month and 0.3% over last month on a “core” basis, which excludes the more volatile costs of food and gas, according to the latest numbers from the Bureau of Labor Statistics. Wall Street was looking for a 0.3% and 0.2% increase in these figures, respectively. Compared to last year, the core consumer price index (CPI) was up 1.8%, more than the 1.7% increase that was expected by economists. Markets on Wednesday were taking this as a sign that inflation pressures may indeed be perking up in the economy, re-kindling market worries that surfaced earlier this month about an overheating economy. Fears over inflation pressures, and in turn more aggressive interest rate hikes from the Federal Reserve, was seen as the initial impetus for the stock market sell-off that roiled markets last week. Following Wednesday’s inflation data, stock futures were sharply lower with Dow futures down as many as 330 points, or 1.3%, with S&P 500 and Nasdaq futures also down more than 1.2%. Treasury yields were also higher, with the 10-year hitting 2.87% and the 2-year hitting 2.14% as bond markets anticipate potentially more aggressive action on interest rate hikes from the Federal Reserve this year. As of December, the Fed expected it will raise interest rates three times this year. Including all items, CPI rose 2.1% over the prior year in January, more than the 1.9% that was expected by economists. Markets more closely track the “core” numbers as the Federal Reserve prefers to strip out the more volatile costs of food and gas. Torsten Sløk, chief international economist at Deutsche Bank, noted in an email on Tuesday that economists surveyed by Bloomberg expect core inflation to average 1.8% in the second quarter of the year, up from 1.5% in the first quarter. Wednesday’s report will likely pull forward expectations for faster inflation even more. Wednesday’s post-report reaction shows the market re-pricing these expectations. Quickly.